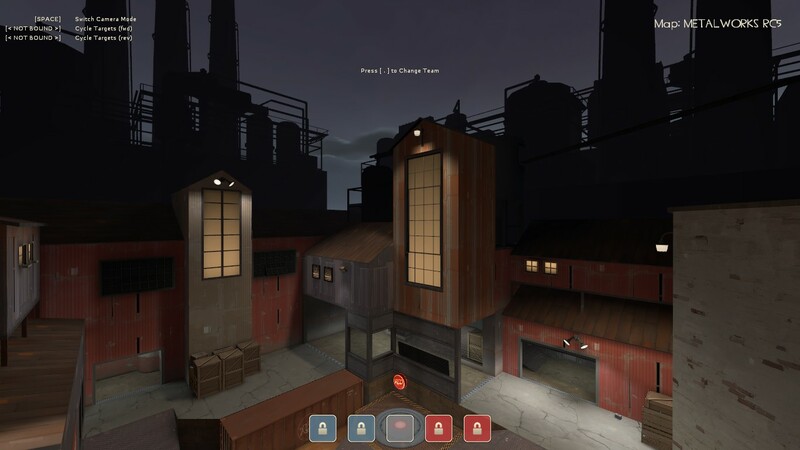 This is not a HUD in its usual meaning, but some fixes for standard Team Fortress 2 UI, adding HP numbers on target IDs, reworked Medic UI, popular custom crosshairs, etc. I do it for myself, but maybe someone will find it useful too. Looks really nice. I'm sure a lot of people who use the default HUD will find this incredibly useful. Really nice hud, only thing I don't like is the uber percentage placement. How can I move the ubercharge percentage to be bigger and on the bottom of the hud? etherReally nice hud, only thing I don't like is the uber percentage placement. You can do it quick and simple: open /resource/ui/hudmediccharge.res, CTRL+F for "ChargeLabelSmall", then you can move percentage by changing xpos, xpos_minmode, ypos and ypos_minmode values. For bigger numbers try change used fonts (font, font_minmode) to something you like (fonts placed in /resource/clientscheme.res). [quote=ether]Really nice hud, only thing I don't like is the uber percentage placement. You can do it quick and simple: open /resource/ui/hudmediccharge.res, CTRL+F for "ChargeLabelSmall", then you can move percentage by changing [i]xpos[/i], [i]xpos_minmode[/i], [i]ypos[/i] and [i]ypos_minmode[/i] values. For bigger numbers try change used fonts ([i]font[/i], [i]font_minmode[/i]) to something you like (fonts placed in /resource/clientscheme.res). Also why is the scoreboard squashed? Is it possible to make it like the normal one? etherAlso why is the scoreboard squashed? Is it possible to make it like the normal one? I personally like them and you can change them by yourself, its not that hard. The ubercharge thing looks great thanks. Could you remove the widescreen bars from the spectator HUD? Those annoy the hell out of me. Mr_FahrenheitCould you remove the widescreen bars from the spectator HUD? Those annoy the hell out of me. Can you make it so when ur speccing someone the big rectangle that shows up is transparent. also for the spectator change I set up the hud exactly how I like (colors, crosshairs, etc..) is there like 1 or 2 files i can change to make the spectator black bars act that way? spaceghostpurrpCan you make it so when ur speccing someone the big rectangle that shows up is transparent. Is your question about the bars same as Mr_Fahrenheit's one? [quote=spaceghostpurrp]Can you make it so when ur speccing someone the big rectangle that shows up is transparent. Eniere spaceghostpurrpCan you make it so when ur speccing someone the big rectangle that shows up is transparent. also for the spectator change I set up the hud exactly how I like (colors, crosshairs, etc..) is there like 1 or 2 files i can change to make the spectator black bars act that way? Is your question about bars same as Mr_Fahrenheit's one? Yeah. I like the change you made, but I don't want to download the hud all over and reinstall and reconfigure everything. Is there like 1 or 2 files i need to change to get that update? [quote=Eniere][quote=spaceghostpurrp]Can you make it so when ur speccing someone the big rectangle that shows up is transparent. spaceghostpurrpYeah. I like the change you made, but I don't want to download the hud all over and reinstall and reconfigure everything. Is there like 1 or 2 files i need to change to get that update? Ah, sure, just download spectator.res and spectatortournament.res here. Ah, sure, just download [i]spectator.res[/i] and [i]spectatortournament.res[/i] [url=https://github.com/Eniere/idhud/tree/master/resource/ui]here[/url]. Hey, really enjoy the concept and execution here. Just wanted to note that most HUDs nowadays (bar KNHUD and a few exceptions) separate having a minimal version with having a 6's scoreboard. I think you should either separate the minimal and default versions, or make separate files for the scoreboards. Making separate versions of the HUD is more work but makes more sense. Therefore, scoreboards can be swapped in-game. EricHey, really enjoy the concept and execution here. Just wanted to note that most HUDs nowadays (bar KNHUD and a few exceptions) separate having a minimal version with having a 6's scoreboard. Yeah but this makes it inconvenient for people like me who use minmode to switch hud crosshairs between classes. Then I need to go through and change the whole scoreboard.res file so it doesn't change for minmode. [quote=Eric]Hey, really enjoy the concept and execution here. Just wanted to note that most HUDs nowadays (bar KNHUD and a few exceptions) separate having a minimal version with having a 6's scoreboard. hanbrolo EricHey, really enjoy the concept and execution here. Just wanted to note that most HUDs nowadays (bar KNHUD and a few exceptions) separate having a minimal version with having a 6's scoreboard. I think you should either separate the minimal and default versions, or make separate files for the scoreboards. Making separate versions of the HUD is more work but makes more sense. Therefore, scoreboards can be swapped in-game. Yeah but this makes it inconvenient for people like me who use minmode to switch hud crosshairs between classes. Then I need to go through and change the whole scoreboard.res file so it doesn't change for minmode. Well I mean, if he wanted to cover all bases, he could make 3 scoreboard files (6s, 24 players, and minmode-toggable) which could then be used in either the minimal, regular, or minmode-toggable versions of the HUD. It's tedious and everybody understands if he doesn't want to do it, but it is the most comprehensive system. On another note, playing in 640x480 messes up the alternative ubercharge display and slightly cuts-off tournament spectator panel player names. [quote=hanbrolo][quote=Eric]Hey, really enjoy the concept and execution here. Just wanted to note that most HUDs nowadays (bar KNHUD and a few exceptions) separate having a minimal version with having a 6's scoreboard. With the spectator hud fixes this is the best HUD for people who don't want anything too flashy that works well.